Ahh, traveling with children. One of the most miserable experiences a parent has to go through. The whole premise behind Baby Safe Travel was exactly that. New parents were traveling and they got stuck in a crappy hotel. They wanted to tell other parents. And so, BabySafeTravel was born. The site is full of tips for traveling, and they have product recommendations so you can see what would fit your needs best. 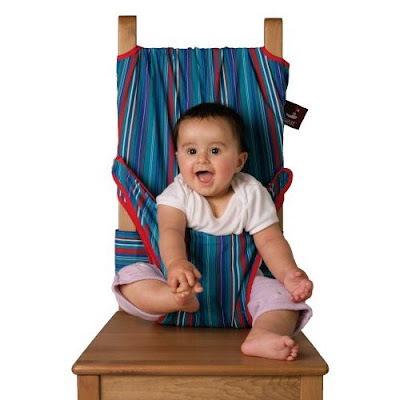 Like this tot seat. It's machine washable and can be shoved into the corner of your suitcase or bag. Perfect for jet-setting. They also RATE HOTELS so that you can discover for yourself the best, most child friendly, places to stay. Thankfully, I can avoid that for the rest of forever now. So go and register with BabySafeTravel.com today. You CAN travel with kids. You just have to do your research.